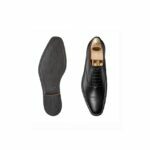 Crockett and Jones Hallam Black Oxford Toe Cap. 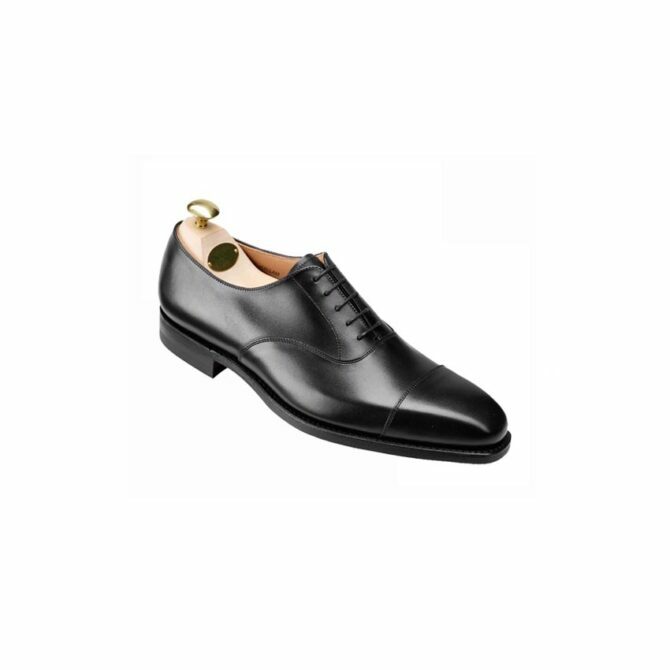 An oxford with a straight toe cap, our most popular cap toe style from the Men's Main Collection. Made from the finest calf with the new city rubber sole. 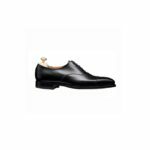 An oxford with a straight toe cap, our most popular cap toe style from the Men’s Main Collection. Made from the finest calf or suede leather with the new city rubber sole. Last 348 is a Main Collection last produced in November 2004. Last 348 is a versatile Main Collection last with a square toe. It is arguably the most important last that Crockett & Jones has developed in recent times. Housing the largest collection of styles, Last 348 has become an icon in itself. In 2012, last 348 cemented itself into Crockett & Jones’ legacy as the choice last for James Bond’s SKYFALL followed by SPECTRE three years later. Fitting advice from retail… Last 348 fits ½ size big and will fit similarly to 337 from the Hand Grade Collection see styles Audley & Belgrave. The wearer may have at least an inch of space at the front of the toe box. An oxford with a straight toe cap, our most popular cap toe style from the Men's Main Collection. Made from the finest calf or suede leather with the new city rubber sole.